Another hastily delivered, feel-good ‘green’ program fails at great cost to the taxpayer. Tsk tsk tsk. Didn’t Ed Davey learn from Australia’s disastrous and deadly “Pink Batts” scheme/scam implemented by Kevin Rudd’s Left-wing, global warming obsessed government (2007-10) that cost $2.8 billion, plus a $500 million cleanup bill?! What is it with climate obsessed / Lefty governments and other-people’s-money? I repeat, the worst ‘green’ zealots can be accused of for “saving the planet”, even when lives are tragically lost, is an excess of virtue. Taxpayers have been left with a £17,000 bill for every household that signed up to the Government’s failed flagship energy efficiency scheme, the Green Deal. Ministers wasted a total of £240 million on the ill-fated programme, which was launched in 2013 with the intention of upgrading Britain’s entire housing stock, a damning National Audit Office report found. The Green Deal was supposed to encourage households to take out loans to fund the cost of installing measures such as insulation or double glazing, with the cost paid back out of the resulting savings on their energy bills. Yet the scheme was eventually abandoned in July last year after just 14,000 households signed up, taking out loans worth just £50 million – on average less than £3,600 each. How not to measure temperature, part 86: when in Rome, don’t do as the Romans do. This is a preliminary post to a much more detailed one coming from my friend Paolo Mezzasalma. who is doing a tour of Italy’s weather stations. While there are significant and systemic problems with USHCN stations in the United States, there are also problems with stations worldwide. One of the problems is that a good percentage of GHCN stations are at airports. 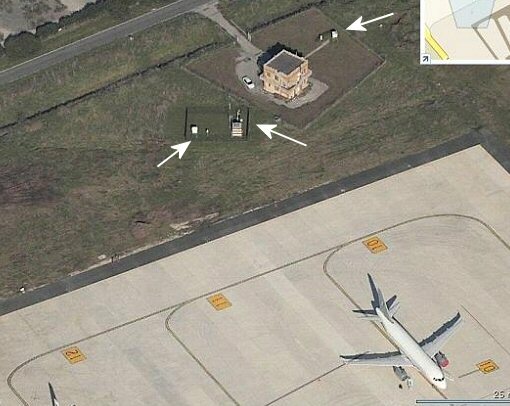 For example, Paolo sent along a photo of the weather station at the Ciampino Airport in Rome, Italy. It piqued my interest for obvious reasons. The arrows point to three different weather stations. two are Stevenson screens, the third is an automated “ASOS” like weather station presumably used for aviation weather. Note the proximity to the parked jets and tarmac.